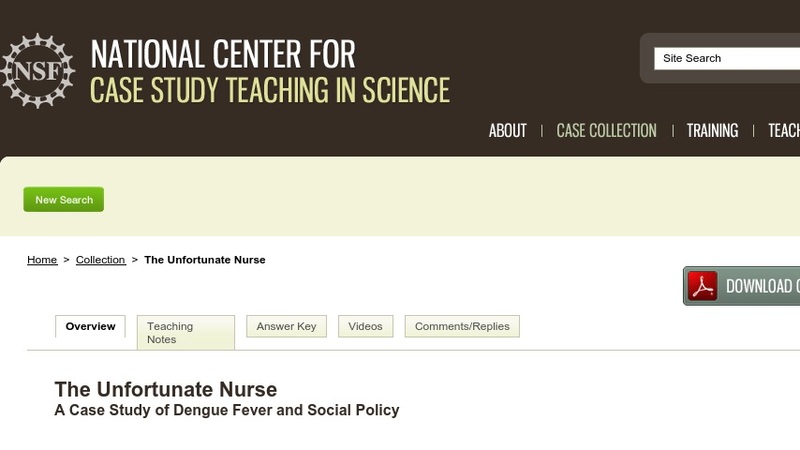 Based on an actual incident in which dengue virus was transmitted by an accidental needlestick, this case study introduces students to “emerging pathogens” and other concepts in parasitology, immunology, epidemiology, and public policy. Students also read a primary paper and learn about two modern techniques widely used in medical and research settings (i.e., EIA and Taqman RT-PCR). The case is suitable for general education biology, cell biology, microbiology, immunology, and science and public policy courses.